There comes a point in the growth of any business where it seems like everything becomes effortless. You know what I’m talking about; we’ve all seen the experts and leaders in our respective industries launch product after product, publish book after book and start initiative after initiative. It’s fast, it’s easy and the results are always spectacular. We watch them do this with envy, as we struggle through technical challenges, timeline constraints and uncertainty about what exactly we should even create that people will really want to buy. Well, what if I told you that the ease, speed and fantastically profitable results were all replicable, if you just follow a system and use easy, off-the-shelf tools to make it happen? 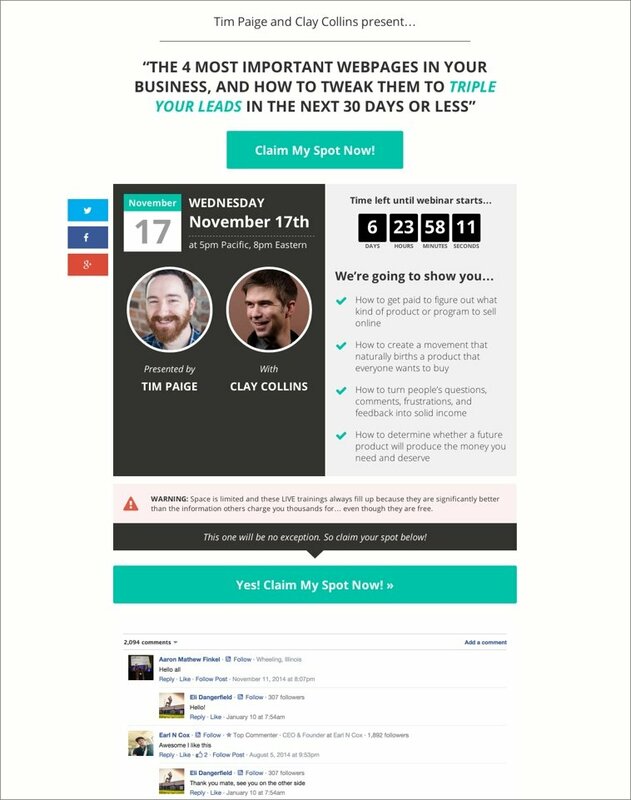 Today, I’m going to share that system with you, and show you how to use LeadPages™ to plan and sell your first product in the next 30 days…even if you’ve never sold a thing before today! The secret to feeling secure about your chances of success with a new product comes from one place: listening to your audience. A marketing consultant has been working with small health related businesses for the past six years. One of the topics she has noticed her clients asking about on a regular basis is something that she considers herself an expert on, and she has an idea for a product. But, rather than going to her audience and validating her idea, she decides to take it directly into production. She launches a product six months later, and only a few of her clients buy it, to mixed reviews. What she failed to do was to follow the validation process I’m about to lay out in this post. But what if you’re not in the marketing sphere? Your industry or area of topical expertise doesn’t matter; no matter what space your business operates in, you have a potential client base. The key to success in any product launch, no matter your field, is listening to your audience to find out what you can produce that they simply can’t live without. Note: Clay Collins, CEO of LeadPages™, pioneered many of the ideas around co-creation and pre-selling that are covered in this post. The process of finding out what your customers want starts with listening to them. But to listen, you first have to ask them questions to get the conversation started. LeadPages™ makes it incredibly easy to invite your customers to participate in a simple survey through a landing page. This works if you already have an established audience, and even if you don’t. If you are just getting started in your business and don’t have a large or well-established audience, you can bring new potential customers to your survey through advertising. 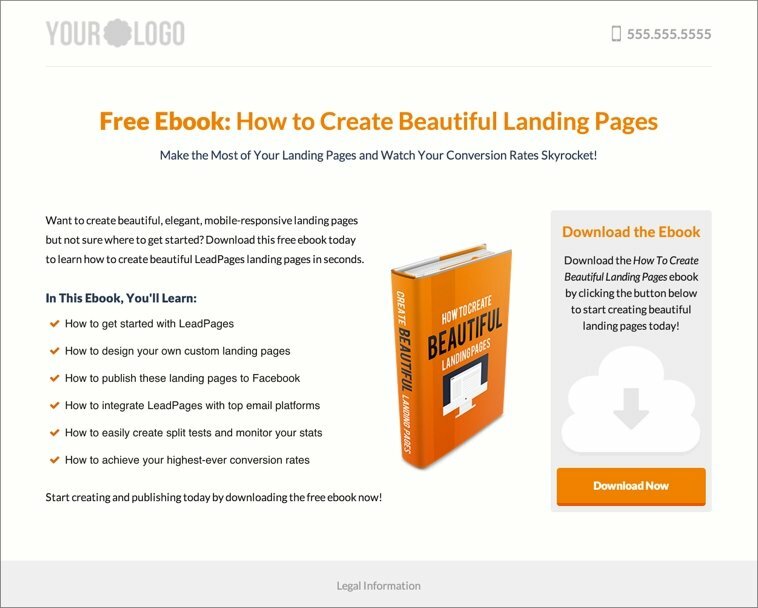 By utilizing LeadPages™, you can simplify the process of bringing in those new customers. If you are looking for something that’s super simple and works right out of the box for your survey, you can use the Survey Squeeze Page opt-in template inside LeadPages™. It’s as easy as opening up the template page and typing in your personalized text. LeadPages™ does the rest! If you then want to go even deeper, you can conduct informational interviews with either members of your audience or the people who responded to your survey. These interviews can be conducted over the phone or by video chat. During the interviews, you can go in depth about the topic and the problems they are having. When you are done gathering data, you then have to sort and analyze it. Take your raw data and sort it by how in-depth the responses were. The longer the response, the more likely that person will be to buy the product you will eventually build. Discard the shortest, least in-depth responses. Yes, really! Look for patterns in the questions and problem language. Note how often the questions came up. To give credit where credit is due, the framework behind the deep dive survey analysis above comes from Ryan Levesque. And now, by sorting and categorizing, you will likely have uncovered the topic area that your audience is interested in. And you may have an idea about what kind of product they could use to solve their problem. Can you create that product for them? If not, what’s the next best thing you can deliver? Now you know what you can create that your audience might be willing to pay for, but you still have a crucial step before you can start creating that product: validation! Now that you’re ready to validate your product idea, the first thing you need to do is build your interest list. If you have an established audience already, this can be as simple as using LeadLinks™ to send them an invitation to get more information about your next offer. But if you don’t have an established audience, or you are advertising to strangers, you can utilize one of the following landing pages to begin to build your interest list. The Basic Squeeze Page is a great option for someone looking to build his or her list through a free opt-in bribe. By crafting a great headline and button text, and including an image of the freebie, you can begin to easily build your interest list. Or, if you want to include more information, a template like the Enterprise Lead Gen Page gives you more space to include sales copy, as well as the headline and image of your freebie. By using a LeadPages™ template for your list opt-in page, you can start building your audience from day one. But now that you have an interest list, what do you do with it? As you establish your interest list, this is a good time to not only express what the product will be, but also to tell the story of how it came to be (and how the audience brought it to life). If they’re not responding, or they’re responding without enthusiasm, it would be a good time to go back and revisit your research to see what can be changed or improved. Once you have established your interest list, now it’s time to make use of it! The old way to do so would have been to create a sales page on your website to explain your pilot offer. Now, you can simplify (and improve) the process by using a LeadPages™ landing page to showcase a candid video of yourself explaining the offer. 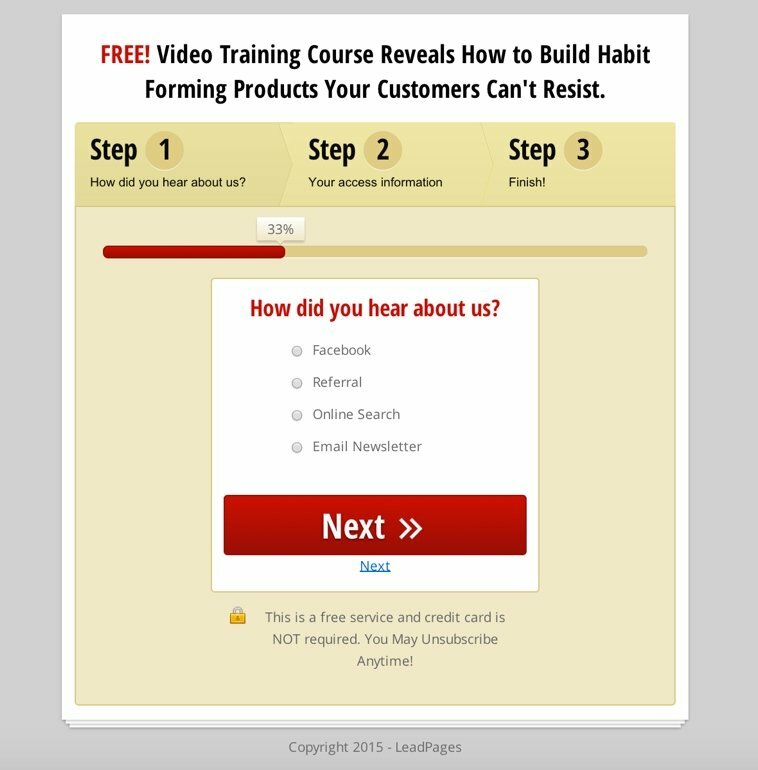 It’s easy to embed video on the landing page, and you can set up the page so that a “magic” buy button appears during the call-to-action in your video. This Video Sales Page template allows you to easily embed your video, and set the amount of time before the buy button shows up on the page. Anything else that will be relevant to the program. If you need a little extra help with the sales conversation, you can pick up a set of free templates for selling your pilot course or service. These templates include a script that you can use with your customers, as well as email swipes that you can copy word for word, so that you know exactly how to invite your audience to join your course. Now it’s finally time to move on to the fun part! Before you can start to present your pilot, you will need a platform where you can deliver your course material. 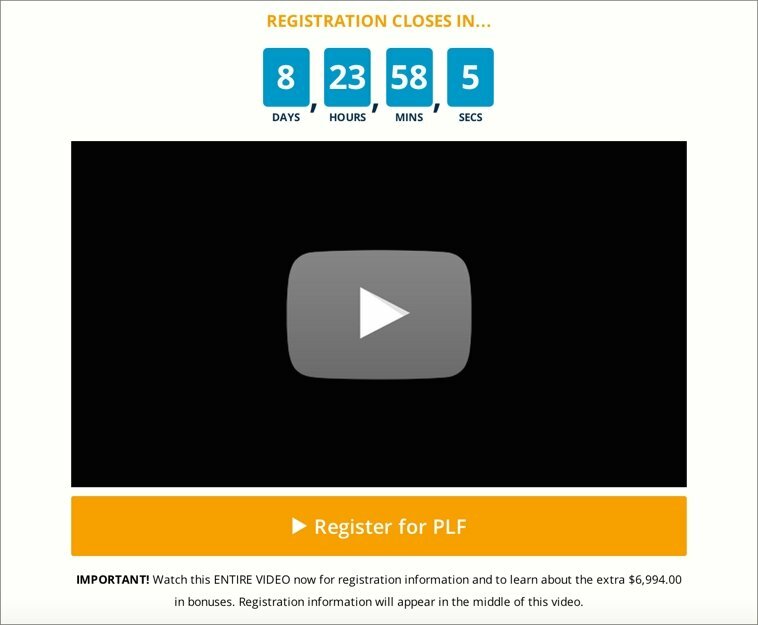 The good news about delivering a pilot program is that you don’t need to get caught up in complicated videos, elaborate member areas or expensive systems. Webinar: whether you deliver the course material using audio or video will depend on the material you are presenting. Mailing list: all communications about the pilot will go out through your email list. Content hosting: rather than using a membership site, this can be as simple as password protecting key pages on a website. This is easy because LeadPages™ landing pages can be connected to your opt-in forms, your webinar service AND your follow up sequences. It’s also easy to connect LeadPages™ directly with your GoToWebinar account, allowing you to turn any page into a registration page for your pilot webinar. The Webinar 3.0 Page template can be customized with the exact date and time of your webinar, with a countdown timer to convey a sense of urgency. There is space in the template to explain some of the key aspects of your webinar. And now that you have your technology solutions picked out, it’s time to actually teach your course. Remember how so many companies risk losing time and money to non-validated product launches? That will never happen to you if you follow this process. Once you have done your initial research, you don’t start to make any part of your product until after customers start to pay you to solve their problem! The process described in this post is fairly straightforward, especially when you have the right tools and technology behind you. If you need a little more help, you can grab a set of free email marketing templates that we’ve created, that you can copy-and-paste to sell your pilots today. And for the technology, use LeadPages™ and you’ll be ready to rock your next product launch. Danny Iny is the co-founder of Firepole Marketing, and creator of the Course Builder’s Laboratory. 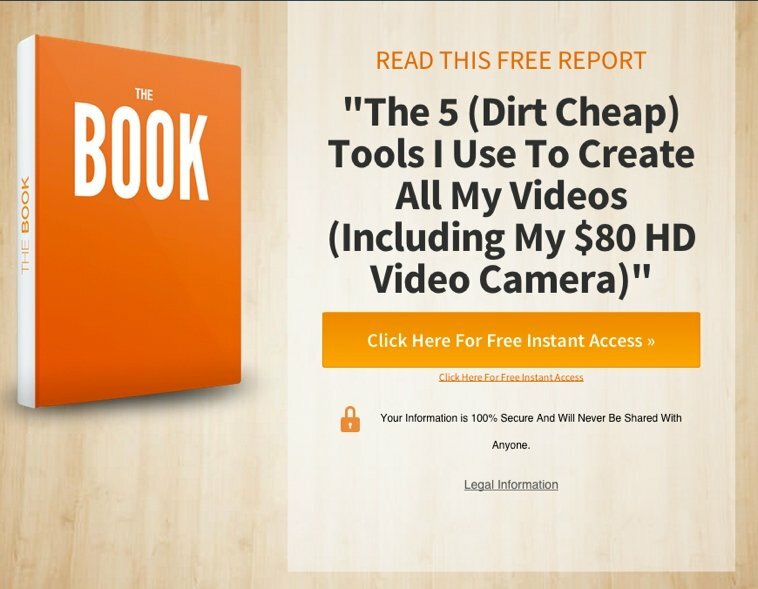 For a limited time, he’s giving away a massive “Done For You” swipe kit of email templates that you can copy-and-paste to sell your own pilot course.